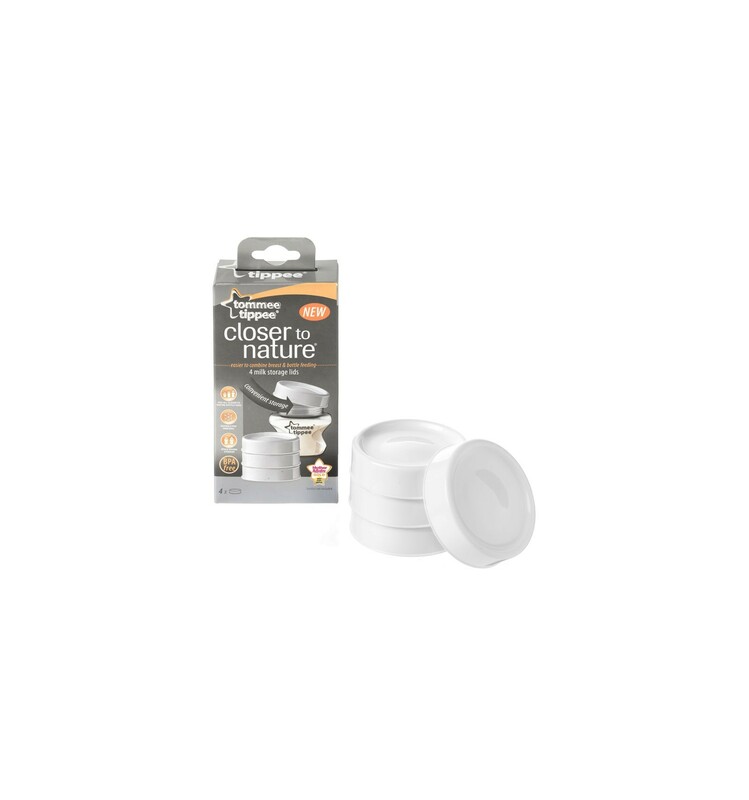 These handy Milk Storage Lids fit all sizes of Closer to Nature bottles, transforming them into safe and convenient storage for your breast milk. They’re also suitable for use in both the fridge and the freezer. More than 50 years ago a plastics company in California run by three brothers were asked to make the mould for a new cup designed by a doctor. When the doctor returned to see the cup he didn't like it and walked out, refusing to pay for it. Egged on by a friend, the brothers decided to make the cup anyway and decorated it with a picture of their dog, Tommee. The cup was famous for its weighted base cup which prevented it from tipping over – and tommee tippee® was born. A leading British businessman met the brothers on a trip to the States, loved the cup and brought tommee tippee® and a handful of feeding accessories to the UK in the mid-sixties. A major manufacturing unit was set up just north of Newcastle upon Tyne. Within a few years tommee tippee® became the number one baby accessories company in the UK with hundreds of colourful, practical and innovative products for babies and toddlers to take them from birth to weaning and onto independent eating and drinking. Today, tommee tippee® is the number-one brand for baby feeding accessories in the UK and one of the top brands of infant products and accessories in the global market. tommee tippee® remains one of the most trusted and recognisable baby brands in the world, loved by babies and recommended by generations of parents.